I am delighted to announce that after a national search and many strong applications for our associate rector position, we have called The Rev. Ann Benton Fraser to St. Mark's. She brings a wealth of experience to our parish and will be an excellent addition to our senior staff. We look forward to welcoming her and her family to St. Mark's at the beginning of March. Her passion and energy for both pastoral care and outreach in our city was evident as well as her keen intellect and inquiring spirit. I am including a brief biography below. The Rev. 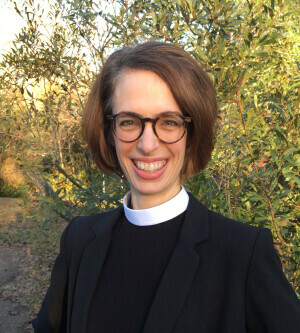 Ann Benton Fraser comes to St. Mark's after serving as rector for nine years in the Diocese of Mississippi at St. Paul's Church in historic Corinth. She looks forward to joining the people of St. Mark's in ministry to San Antonio, and discovering what God is calling us to imagine in Outreach, Pastoral Care, and Parish Life. A native of south Louisiana, Ann received a degree in public relations from LSU and worked in development for a nonprofit education resource center in Baton Rouge. After receiving her MDiv at Sewanee's School of Theology, Ann was awarded a Lilly Fellowship to serve at St. James' in Manhattan for two years. In the Diocese of Mississippi, Ann served in roles including President of the Standing Committee, the Commission on Ministry, and as a co-directer of a family camp session of Camp Bratton-Green. Ann is a contributing writer at Forward Movement's Grow Christians blog, and has served on two General Convention deputations. In Corinth, she moderated a racial reconciliation fellowship, was an active Rotarian, and worked in several ecumenical partnerships. She and her husband Andrew are parents of two lively girls, Susanna (7) and Eleanor (5). Ann loves to spend time reading, getting to know people, being active outdoors, and making things. She is loosely affiliated with two cats. We are very excited to welcome the Frasers. Please pray for them in the coming months as they prepare to leave St. Paul's and transition to St. Mark's and San Antonio!